This is a 63 year old male with a retroperitoneal mass. 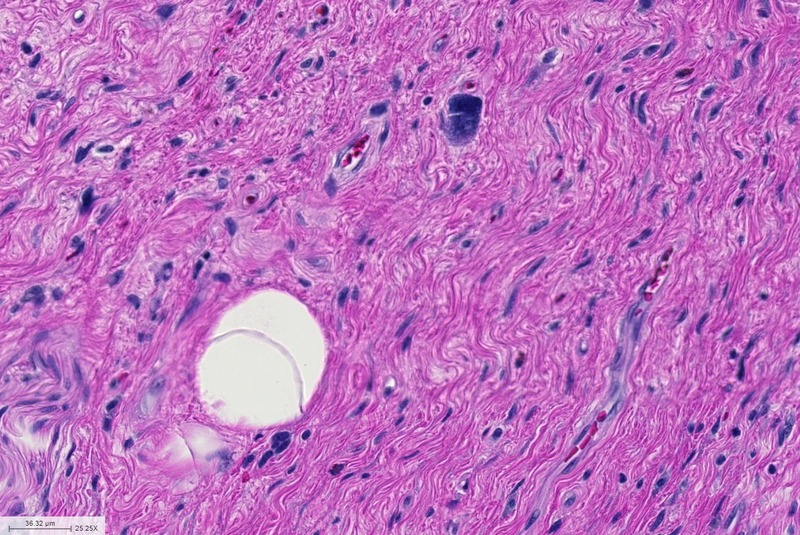 Histology Description: The dominant appearance of this lesion is that of an inflammation rich process. 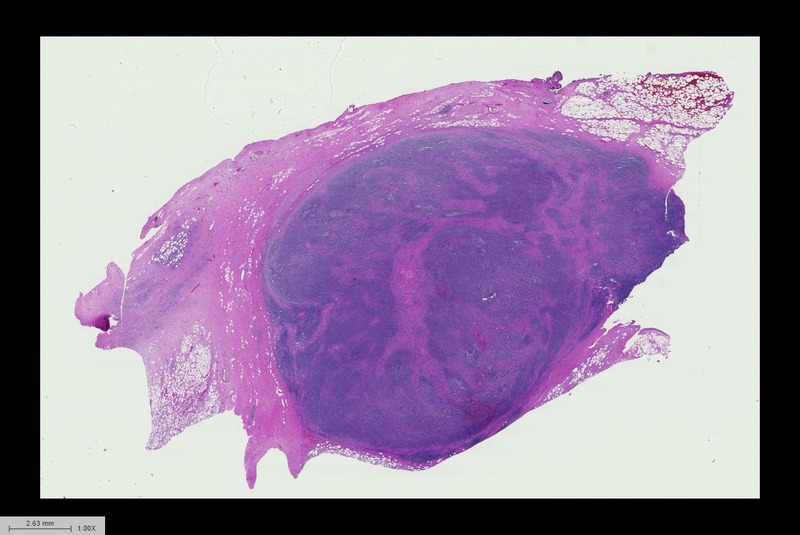 Scattered between the prominent lymphoid components of the lesion are markedly atypical cells. 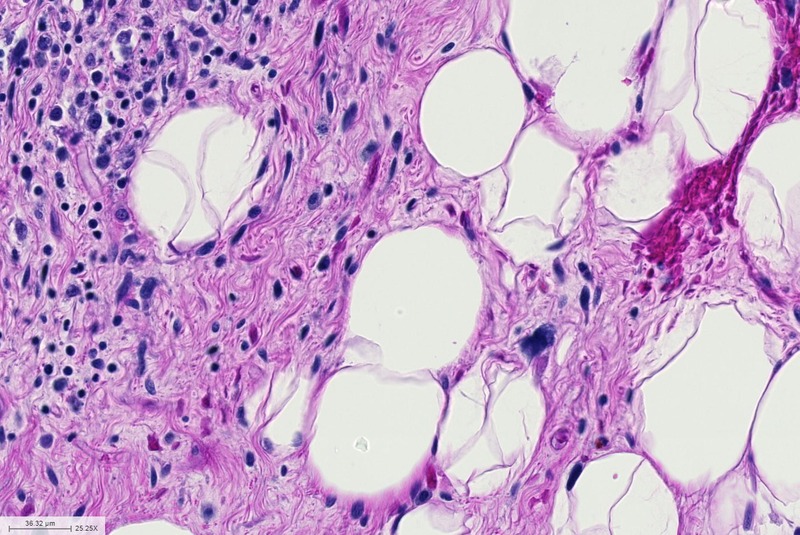 In the fibrous and adipose tissue away from the lymphoid nodules, one can appreciate similar atypical cells predominantly located in fibrous septa, which is the typical appearance of well differentiated liposarcoma. These atypical cells demonstrated MDM2 labeling, supporting the diagnosis of well differentiated liposarcoma. Differential Diagnosis: Hodgkin’s lymphoma would label with lymphoid markers such as CD30 and CD15, and would not be associated with the atypical cells in the fibrous tissue surrounding the lymphoid nodules. Sinus histiocytosis with massive lymphadenopathy would also feature S100-positive atypical cells. However, those cells would be negative for MDM2, and would demonstrate emperilopoiesis and more abundant cytoplasm. 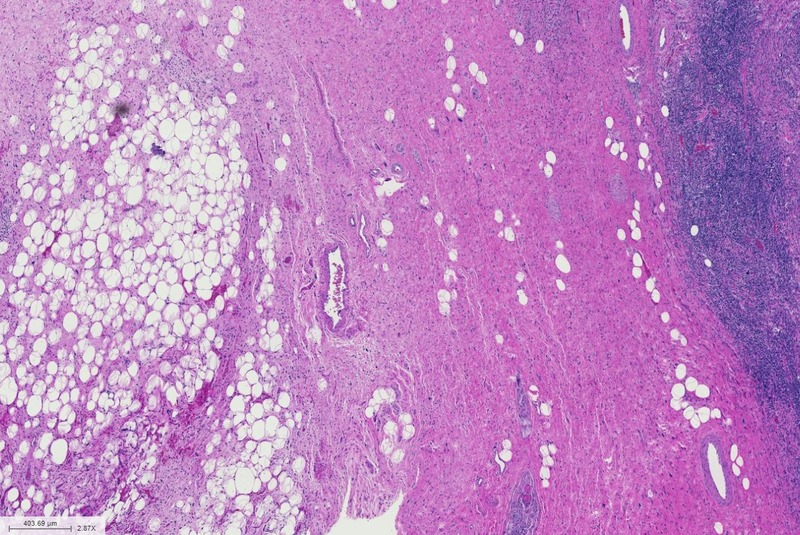 Sclerosing mesenteritis also feature prominent lymphoid reaction in the mesentery/retroperitoneum; however, it would lack atypical cells in MDM2 labeling of the current case. Inflammatory liposarcoma is considered a well differentiated liposarcoma (Am J Surg Pathol 1997; 21:884-895).